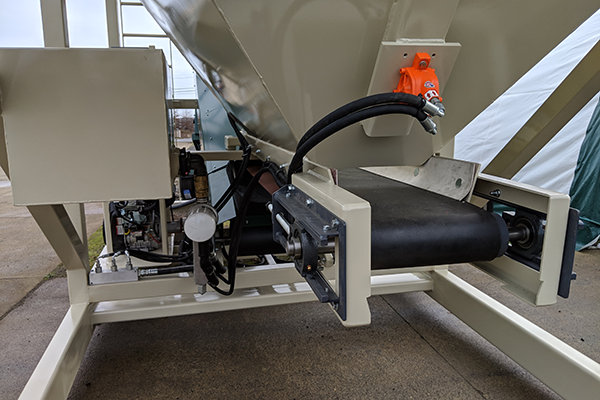 For loading Cart-Away mixers at any location you should use the Cart-Away PortaBatch. It has all of the features of a fully automated Cart-Away batching system, but with added portability. With a simple push of a button, you can dispense 1-yard of concrete materials every 2-minutes. And with the self-contained power system and forklift pockets, you can move it anytime and go anywhere for batching. The PortaBatch is fully self-contained, with an 11,000lb cement silo, 6-yard sand, and gravel hopper and a standard 31hp gasoline engine. 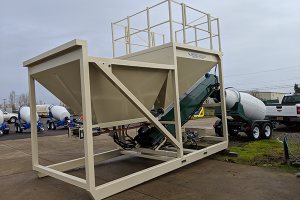 The PortaBatch uses the time-tested Cart-Away TouchBatch operating system that allows you to select a batch size and cement ratios at the touch of a finger. You can be set-up and making concrete in less than an hour. 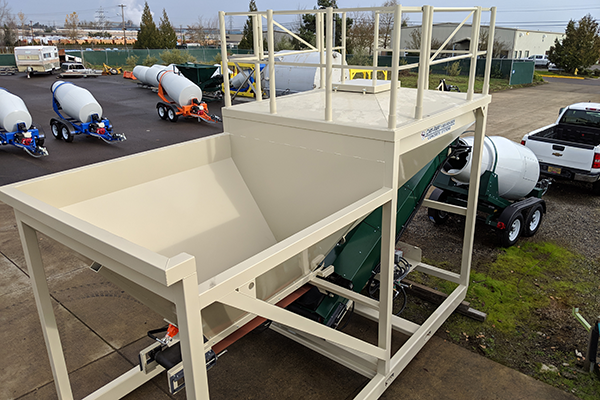 Simply remove the PortaBatch from the truck, load in 11,000lbs of Portland cement from super-sacks, fill the 6-yard hopper with sand and gravel, back up a mixer, start the engine, type in your batch and push go. You can use the PortaBatch system for supporting a U-cart style delivery business, remote location batching, or job site mixer loading. 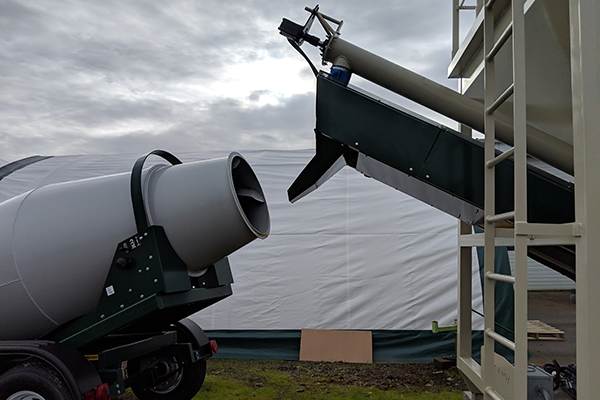 If you are in a rental business, this machine will give the option of renting not only the trailers but also an entire on-site ready-mixed system. The PortaBatch is the best of both worlds. You’ll love the flexibility and this batch plant brings and the volume of product produced! Call us now for a quote!